Don’t miss this loose Welo Opal, completely natural and genuine earth mined in Ethiopia, Africa, for sale on our online gems store. 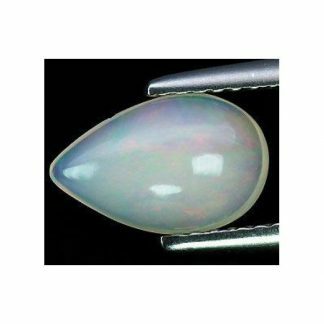 This ethiopian opal was shaped into a round cabochon cut. 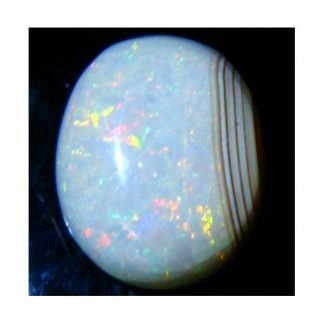 This loose Welo opal display an attractive play of colors with a lot of fire on the surface of the white background of the stone, it present a translucent clarity without visible inclusions. 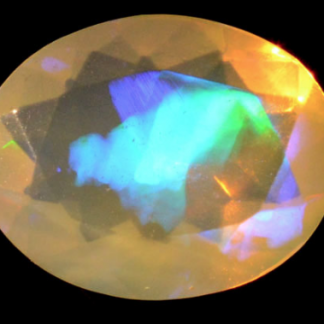 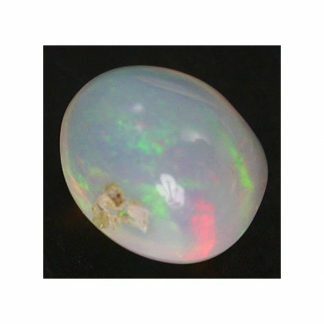 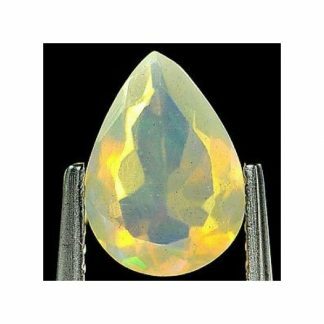 This rich of fire and color play ethiopian opal is offered at affordable price and it is ready to be used in jewelry to create unique eye catchy jewels. 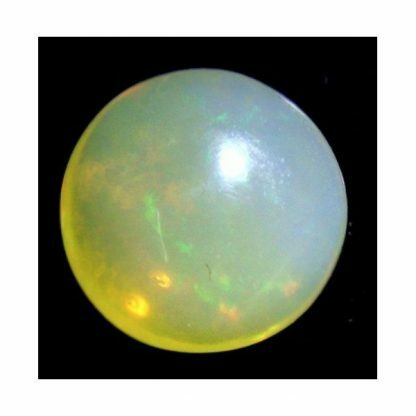 This Welo Opal loose gemstone weight over one carat, has good size and it is totally untreated and ready to be used in jewelry duo to its hardness of 5.5-6.5 on the Mohs scale. 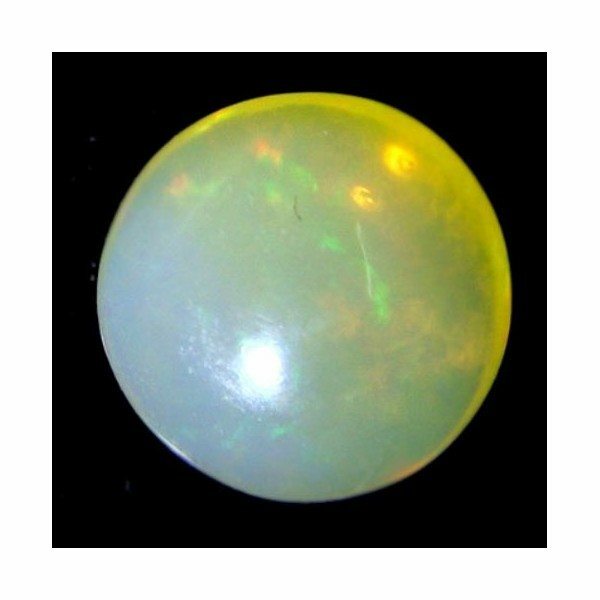 Dimensions: 7.8 X 4.7 mm.